" Had so many issues renting. 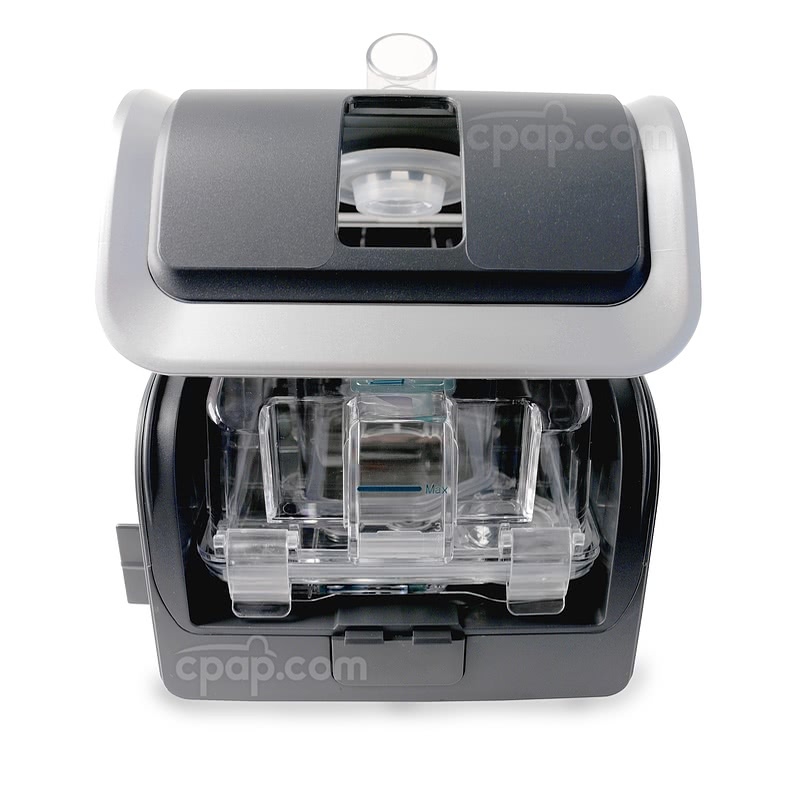 With CPAP.com, all my problems went away. Simple, quick and great customer service. " 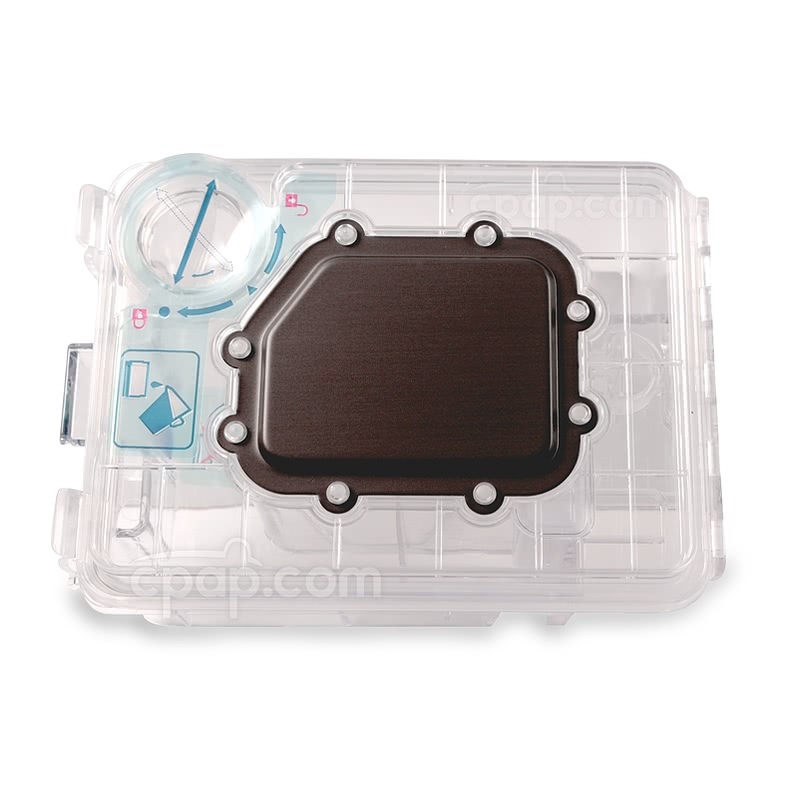 How do I Fill the Water Chamber? DO NOT fill the hole on the top of the chamber with water. Turn to view the underside of the water chamber to locate the small dial on the front left side of the chamber. With the bottom facing upward, grip and turn the water inlet cap in a counterclockwise direction until the arrow on the cap is facing the triangular mark by the opening. 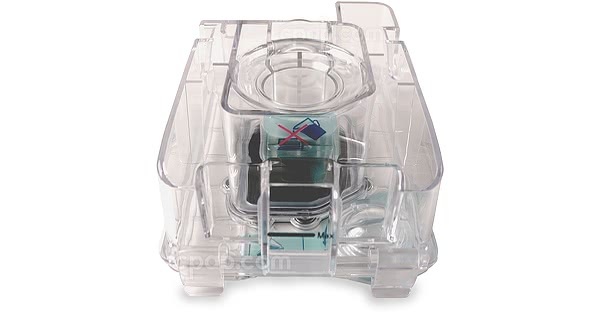 Release any residual water still sitting in the chamber to ensure all of the water is fresh. Add approximately 350mL of water into the water inlet. DO NOT exceed the maximum water level. Place the water inlet cap over the opening and turn it in a clockwise direction to lock the cap in place. The arrow on the cap will be locked once it is directly across from the circular symbol.